R E D U C E D !! 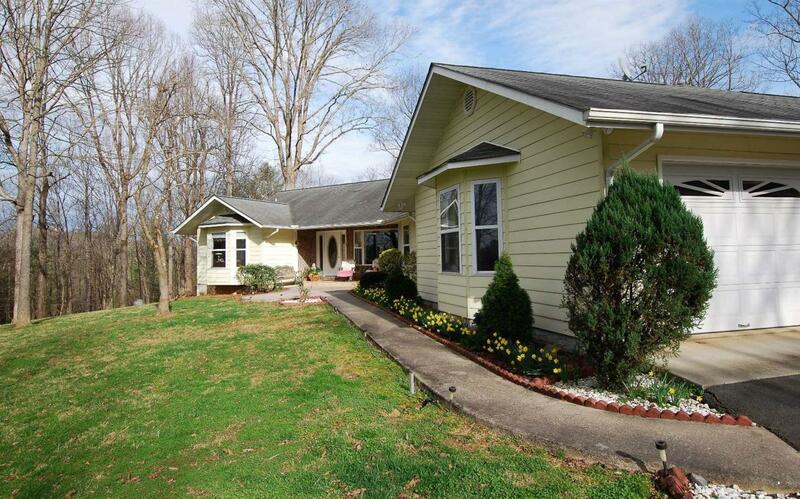 THIS ONE LEVEL - CUSTOM BUILT HOME, 3BR/ 2 & 1/2BA, 4.9 UNRESTRICTED Acres, manicured yard, Paved circular driveway with 3-Car garage, bonus storage shed, pole barn, fire-pit area, seasonal and winter long range mountain views. Home generator and transfer switch, all season Sun-room, Open Floor plan, the list goes on-and-on. This special home and the amazing property is located in a very private section of Warne NC. Close Young Harris College, Crane Creek Vineyards, in NC set between Murphy & Hayesville. Rather than give to much away in a limited description, lets simply set an appointment for you to come and see what could be your new home. Listing provided courtesy of Sonja Silvers Realty Group.